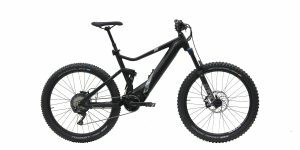 CST Patrol 650b, 27.5" x 2.25"
This review is for the 2015 IZIP E3 Peak, click here for the most recent review which features a drivetrain upgrade, lower price point and a new color scheme (black with blue accents). The twist throttle has been dropped but IZIP now offers an optional $50 boost button instead. 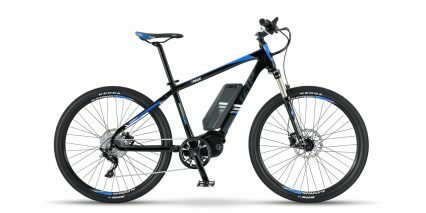 The 2015 IZIP E3 Peak is a mid-level off-road electric bike that’s comfortable on trails or pavement thanks to an upgraded RockShox suspension fork with lockout. 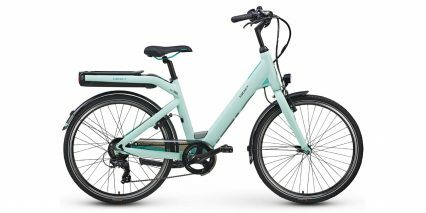 What really sets it apart is the 28 mph speed pedelec capability which allows the motor to stay active at higher speeds in pedal assist mode. 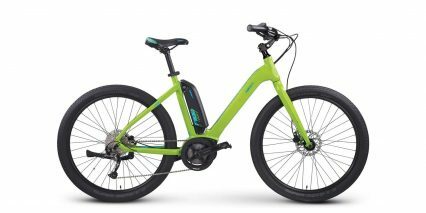 The E3 Peak also has a twist throttle that’s capable of reaching ~6 mph without pedaling or 20 mph with and this is useful for overcoming short climbs while pedaling with lower levels of assist (simply twist the throttle vs. changing assist levels). 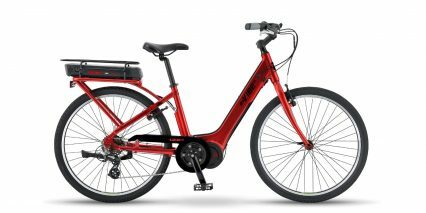 Compared to the 2014 E3 Peak, the new model has changed colors (from black and green to black and orange), has an improved display panel mount that’s sturdier and also swivels for reduced glare, an upgraded button pad that blends in more and is easier to reach, a redesigned frame with pierced head tube allowing cables to stay more organized and out of the way while running through the frame, wider rims for improved handling along with an upgraded anatomic saddle and finally a 10 speed cassette vs. the older 9 speed. 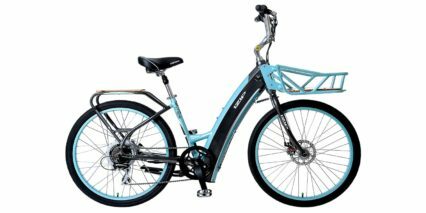 It’s a solid ebike available through a wide network of IZIP dealers nation wide in the US and it comes with a decent warranty all for a reasonable price. 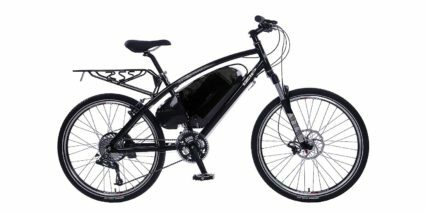 While the motor isn’t responsive as something like Bosch or Impulse, it’s certainly powerful and very capable. 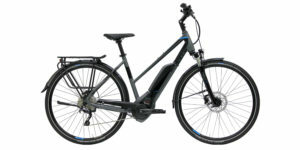 The centerdrive motor on the IZIP E3 Peak is a 350 watt geared design from TranzX. 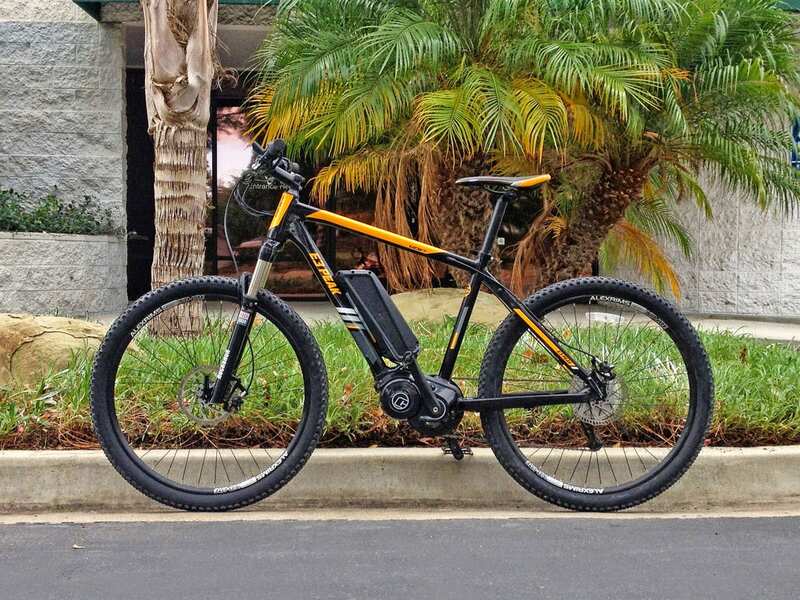 It has taken me some time to warm up to this motor between 2013 when I first test rode a prototype Peak and now (late 2014) and I feel like it has become more responsive and refined in that time. It’s not super loud but definitely not your quietest motor either (mid-drives tend to produce more noise when operating at high RPMs in lower gears). I like how small the motor casing is and that it keeps weight low and center on the frame. 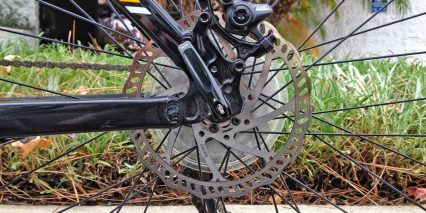 The chain ring that it pulls has a built in aluminum alloy bash guard guide designed to protect the sprocket teeth and probably the motor to some extent. This front ring is a standard sized 38 tooth design and looks relatively normal from the side. 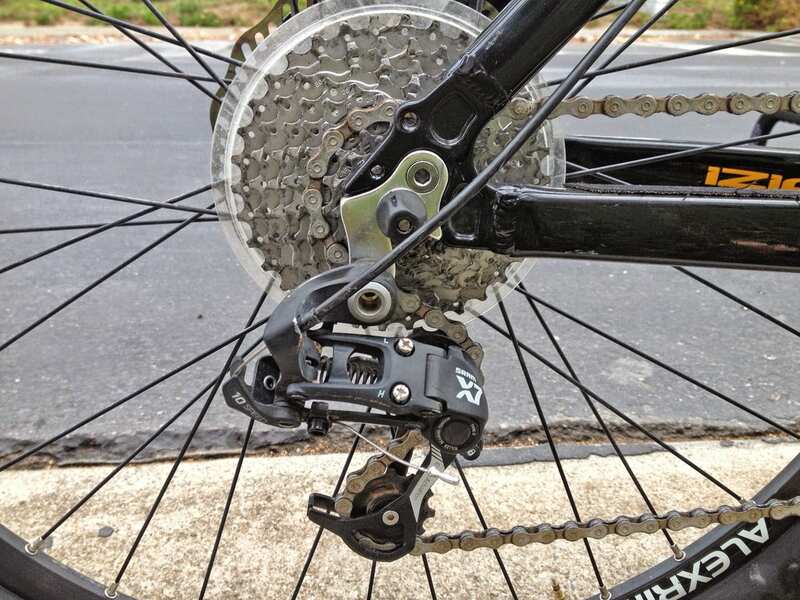 With a 10 speed SRAM X7 cassette in the rear, I found that there were enough gears to climb and reach the higher 28 mph top speeds without adding too much complexity or weight to the system with a second derailleur and more front rings. It’s not surprising that some of the higher end centerdrive bikes like the Haibike XDURO RX 29″ also only offer 10 speeds. The big difference between that system and the E3 Peak is that it can sense when you shift gears and the Peak cannot. This can lead to more grinding and mashing (especially if you try to shift when climbing) but the motor cutoff brake levers help to control motor activation (if you lightly squeeze them the motor will stop but you can still pedal and shift) and during my tests, there actually wasn’t too much mashing going on, even without braking. 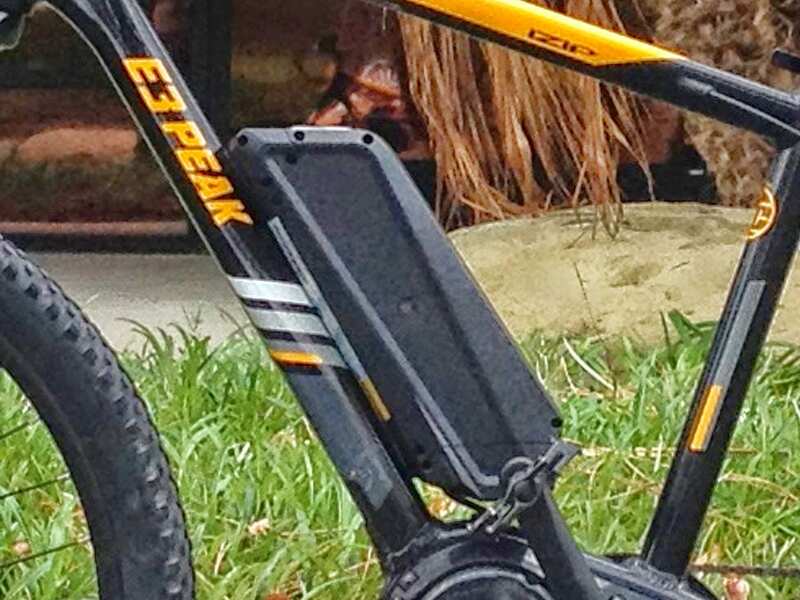 The battery pack on the E3 Peak offers a strong 48 volts of power (which is also more efficient than 36 volts) and a decent 8.7 amp hours of capacity. 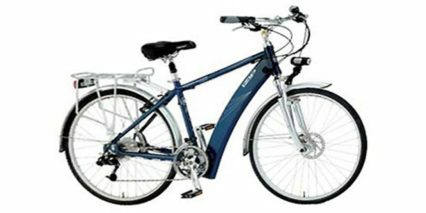 It’s a locking pack that secures to the frame for security but is also removable for reducing weight during transport, charging more conveniently inside your home or office and also opening up the center area of the frame for easier mounting to car racks, bus or train racks or gondolas if you’re up in the mountains. 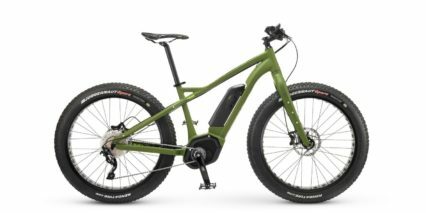 Honestly, I think of the E3 Peak as more of a trail bike but given the RockShox suspension it’s probably capable of some heavier mountain use than something like the Easy Motion Neo 650b that just has a SR Suntour fork with 80 mm travel vs. 100 mm with the Peak. 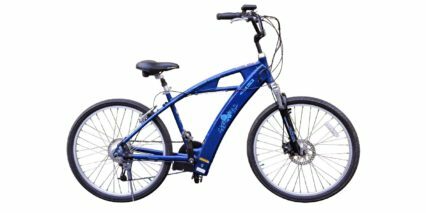 The battery cells used here are Lithium-ion which is valued for being relatively light weight, durable and long lasting. 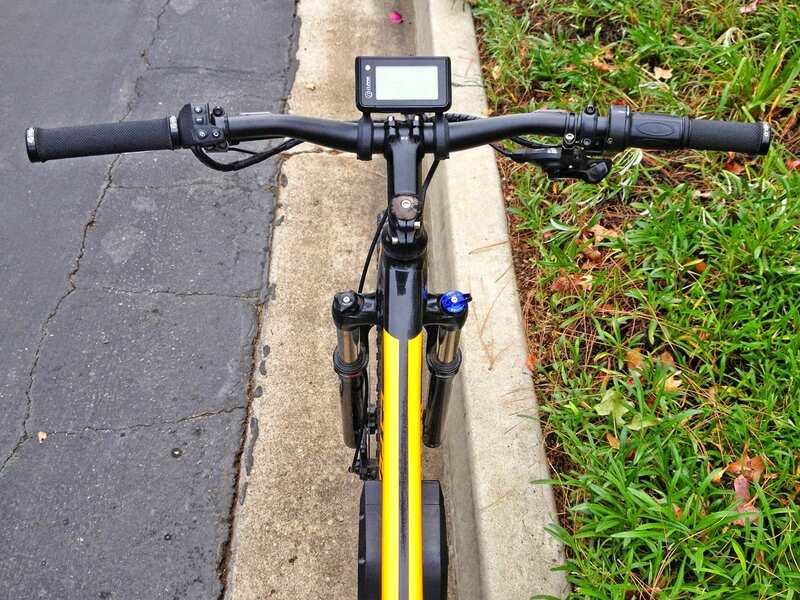 Built into the pack is a small LED charge level indicator so you can tell how full it is without connecting to the bike and powering up. 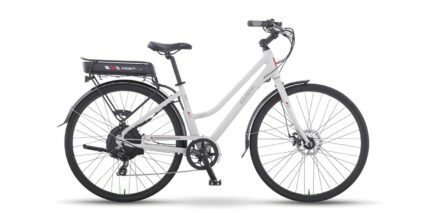 One of the big areas of improvement on 2015 IZIP electric bikes, including the E3 Peak, is the display panel and associated button pad. 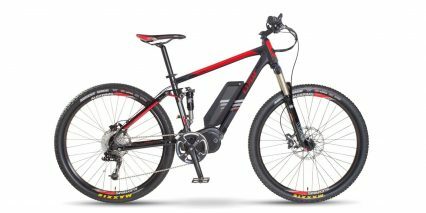 The display is backlit, easy to see (mounted front and center) and now connected at two points for improved strength which could come in handy on the trails. I love that it can swivel forward and back to reduce any glare you might be experiencing on an after-work ride and I love the range estimator readout that approximates how far the bike can go at each level of assist given the remaining battery charge. The button that operates the display is pretty simple to use and very easy to reach. It is now also completely rubberized to keep out dust and water. 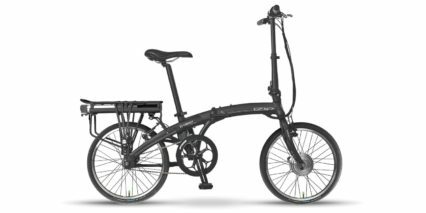 Basically, you can navigate through four levels of assist with up and down buttons which offer increasingly greater power output from the motor and ultimately allow you to reach 28 mph assisted (with active pedaling). 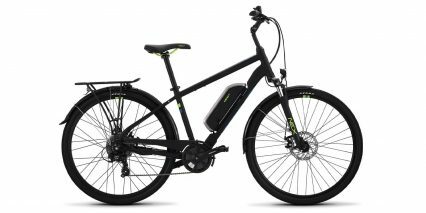 Most electric bikes cut motor power at 20 mph and that is still the case for the throttle mode on this one but note that the throttle will really only reach ~6 mph without pedaling. 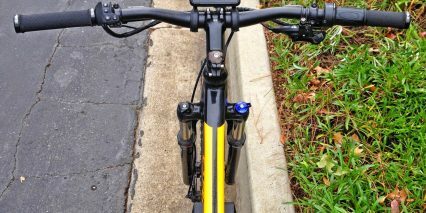 As long as your cranks are moving, it can reach 20 mph and it’s designed as a sort of “override” for lower levels of assist, helping you for a short burst to overcome hills. 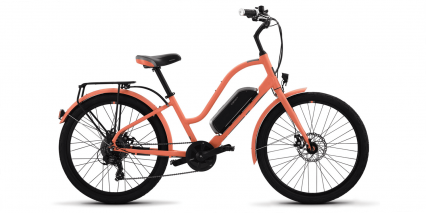 One complaint on the display is that it’s not removable which could be nice if this ebike was doubling as a weekday commuter or grocery getter. 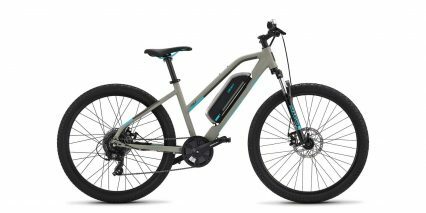 For ~$3K the E3 Peak offers a lot of value and versatility for riding on or off road. 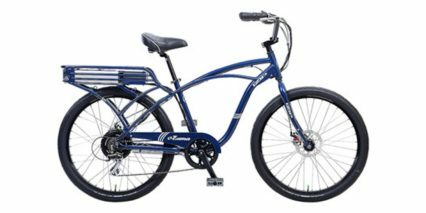 Consider adding a rear carry rack and turn thing into a sporty commuter that can also satisfy your weekend warrior trail riding. The higher top speed means you can get around faster and the mid-drive motor system means you’ll get there efficiently but still able to overcome large hills. 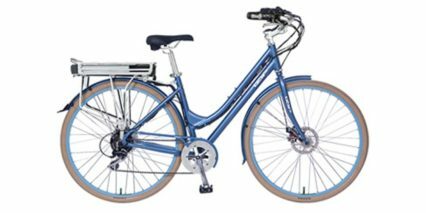 You will have to shift more frequently than a hub motor driven bike to truly benefit from the mid-drive but I think the lower center of gravity and easier access to wheels with quick release front and rear can be worth it. 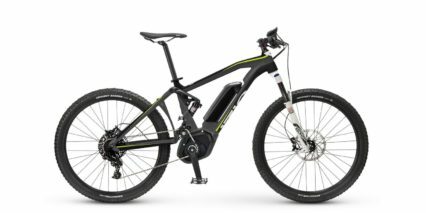 It’s great that the E3 Peak comes in two sizes and for 2015 there’s also a full suspension Peak available for smoother off-road riding. 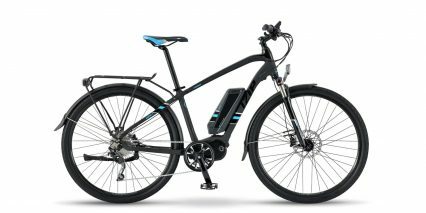 I do wish the bike was able to hit 20 mph in throttle only mode, without pedaling, but that’s just not the case and at least it has a throttle (though this could compromise the right grip a bit in rough terrain if it twisted). 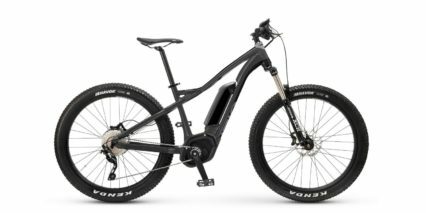 The E3 Peak does a lot right and the latest TranzX motor pairs nicely with the refined frame and stopping power of the hydraulic disc brakes. 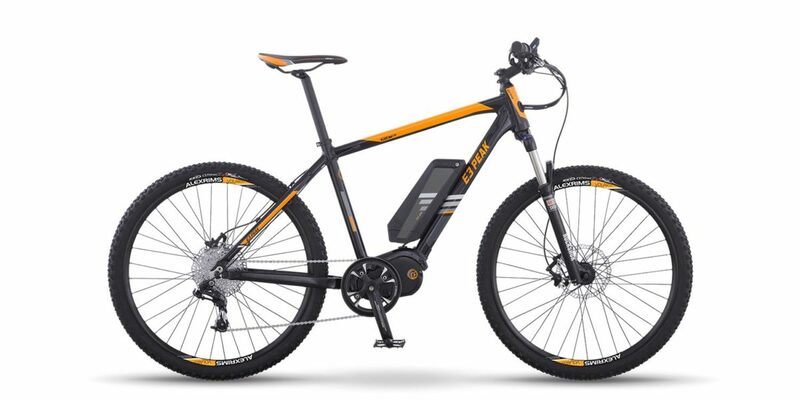 I am trying to decide between the 2014 and 2015, significant cost difference, is the newer one that much better? 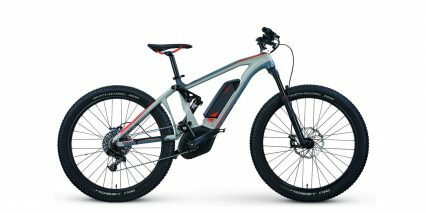 I’d say it’s more refined (the motor and control systems operate better, more smoothly) and the battery will likely last longer given the natural degradation of Lithium-ion cells and the potential that the 2014 bike has just been sitting around in a shop for a long time, possibly not having been charged and maintained. New battery technology is more durable and should last, I guess I’m just making an argument for the value you get on the latest models… a fresh battery. Thanks. 2015 price dropped and the prices were close enough where the new 2015 was worth the $300 – easy decision. The price had been $1000 difference between the two 2 weeks ago. Hi Jacob! 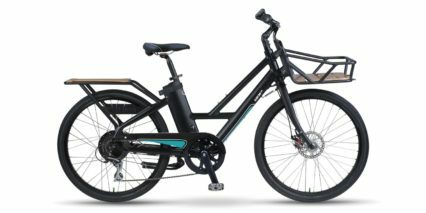 I love the Haibike models (Bosch and Yamaha powered) but only the more expensive ones offer speed pedelec performance and none have throttles. 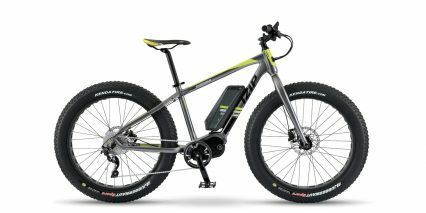 From what I understand, many of the IZIP models are also moving away from throttle power and only seem to offer a “boost” with the throttle vs. top speed throttle only. The lower price is really what you’re getting as more of the IZIP models offer mid-drive in 2016 but use the TranzX system which isn’t quite at the level of Yamaha on the SDURO models in my opinion. My testing time with both systems so far is a bit limited… but I plan on doing more reviews very soon! That would be great, hit me up anytime for a ride with you and perhaps you can share some of your cool experiences of this great pastime… it would actually be a first for me to ride with someone since i always think that biking as a solitary pursuit… i see others in hordes of very nice roads bike and their colorful lycra outfits and i do envy a bit of company from time to time but mostly i just breeze about on my own :)… especially now with the E3 Peak and in the back of my mind i get the feeling i won’t be much welcomed in those normal clubs anyway with my “cheating” ways… talking about being considerate and the fact i got all the jeers in my last ride was when i was ascending is quite telling… i mean you can only go so fast and be safe going uphill right so i think their problem (the traditional MBT’er) is that they just don’t like to see someone using assisted power going uphill and then reaping the fun of the downhill which i think is kinda mean spirited! Almost 2 years later, figured I would provide an update. 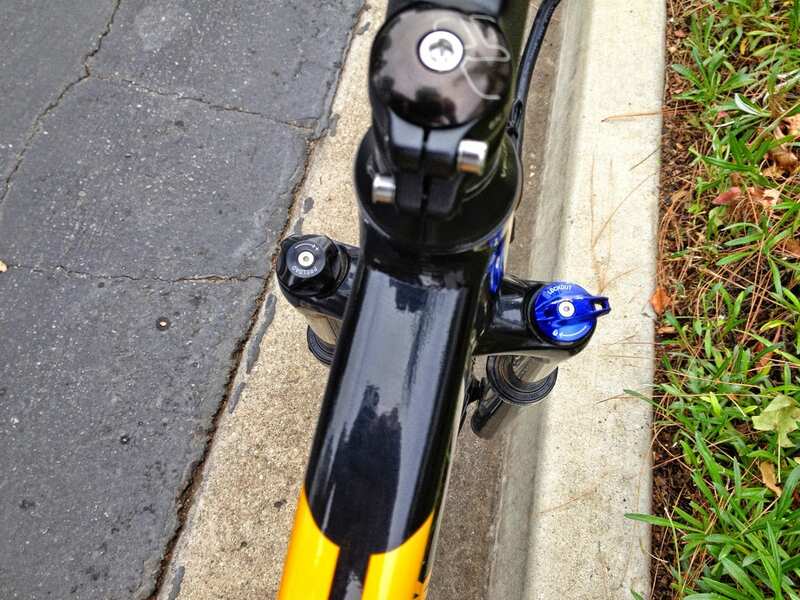 I have been happy with the bike’s performance, with two MAJOR caveots. 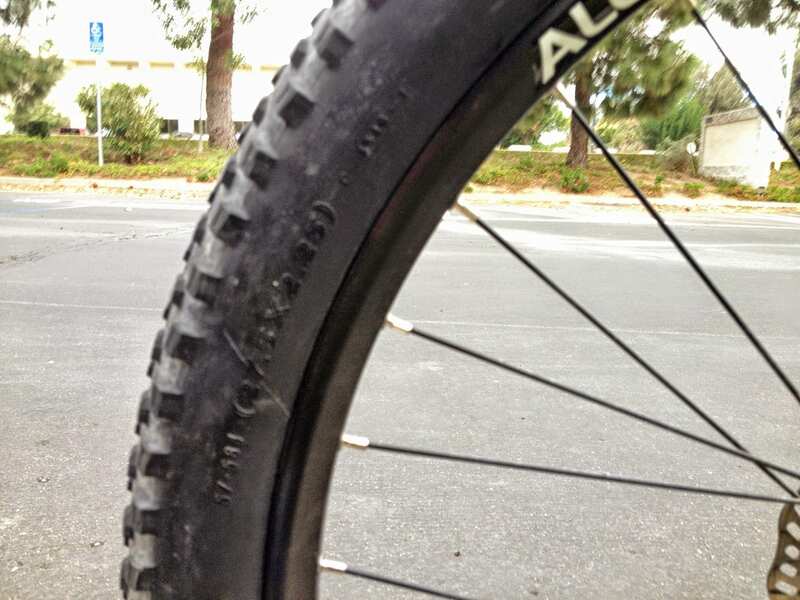 I had to get a new rear hub, the one that comes with it is low end, and it broke on me ($200). I have burned out two motors. This is very concerning, I am planning on selling the bike as soon as the new motor is installed. 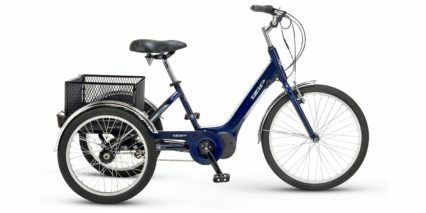 I have reservations recommending this bike, maybe I had a lemon, but 2 motors within 2 years is not cool – luckily the bike has a 2 yr warranty on motors, I do have to pay the labor. 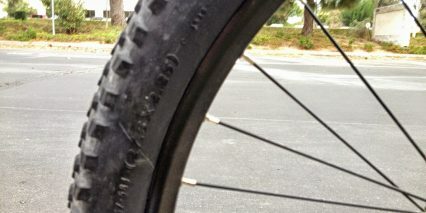 All my riding was street, no trail, maybe I should have done offroading. 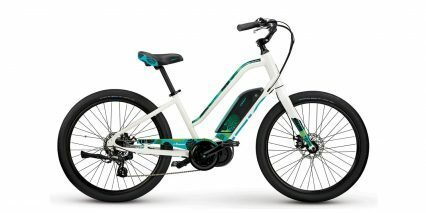 Unfortunately, James experience with the IZip and specifically the Tranzx is not unique, and points out the challenges a buyer has in choosing whether a mid drive makes sense. First of all, those motors are costly (time consuming labor and not very mass produced parts) to repair. 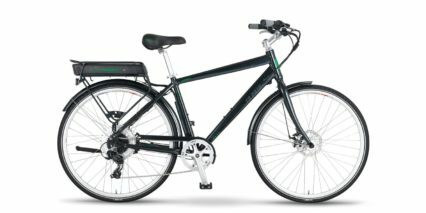 Second of all, when its designed for a purpose built frame like that, you cannot replace it with a Bosch or Yamaha or anything else that might be reliable. 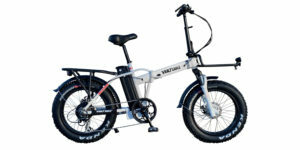 Third, IZIP abandoned that motor, and ultimately went to a Bosch, but that leaves the customer and IZip dealer who might have sold it, high and dry, with little to no factory support, and no option to replace it. 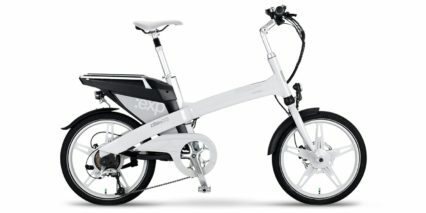 Thus the market value for this ebike is now effectively zero even if sold as used. 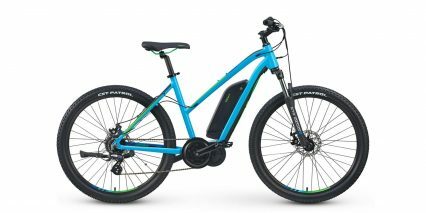 8Fun and E-Rad (derivative of Bafang) make fairly reliable, and cost effective mid drive options that can go on a regular bike that doesn’t have a purpose built frame, or even can be a replacement for someone who bought an ebike with a hub drive motor, but want more power and speed. 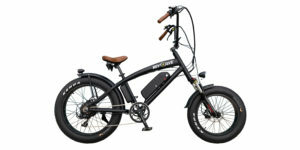 But doesn’t solve what Bosch and others are doing in terms of mid drives, since to get a decent quality built mid-drive on an ebike, you are going to be spending around $3000, which eliminates a lot of the market potential for increasing ebike ridership. 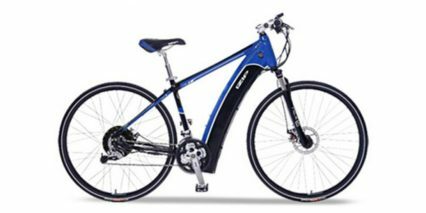 For future buyers considering a mid drive, if some vendor tries to tell you, that you can get 28 MPH from a 350 Watt motor, be very cautious of such a claim. 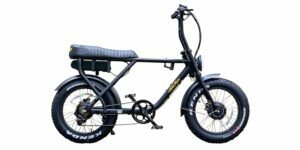 While you can certainly design a motor to get more torque using 350 watts (either 36 Volts or 48 Volts), you can’t design both torque and speed of 28 MPH at that wattage into the motor. As we all know from basic physics classes, ‘power’ = work/time. 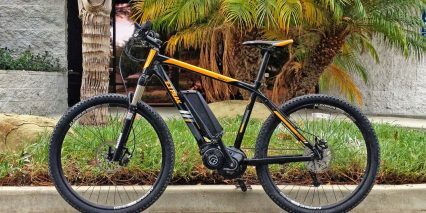 Watt is merely a ‘unit’ of measurement for power, or transfer of energy. (either generated or consumed). You can only get so much ‘power’ (work/time) from a 350 watt motor, no matter how you slice and dice it. So if you want to go faster (time), you need more power. Thats simplifying it greatly without getting into the derivative functions/calcs of torque. 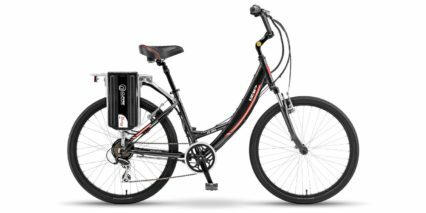 Generally speaking you are going to want at LEAST a 500 watt motor, and 48 Volts if you want to have a chance at achieving 28 mph on a regular basis. 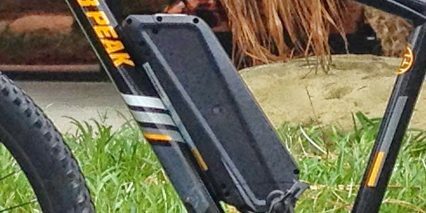 You’ll still be doing a considerable amount of human ‘work’ to maintain that speed, and you’ll drain a battery fairly quickly. 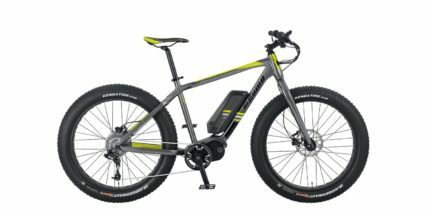 Preferably, you would want 750 watts, so as to not risk burning out the motor, and also a fairly sizable (higher amp rated) controller. 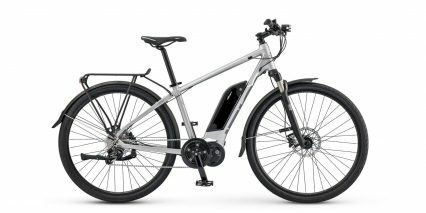 By the way, OEMs can design a mid-drive motor with a throttle, but those like Bosch have simply chosen not to do so. 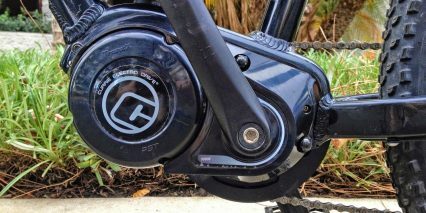 Has nothing to do with ebike laws, however it should be noted, the pushes being made to introduce ‘classes’ of ebikes, those with throttles and those not, are being pushed by big players like Bosch, more to restrict trade and limit competition (from hub drives with throttles or other mid drives with throttles). Don’t let them confuse you into spending a lot more for their motors because they want to sell at higher prices and higher margins. Mid drives do seem to have some pluses, but the drawbacks like not having a throttle, if you really want a throttle (and there are many good safety reasons to have one), should make you think twice about spending so much money for them. Hub drives offer many life cycle benefits, and performance benefits at lower costs and better reliability, and easier service. 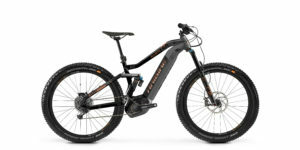 The majority of mid drive e-bikes are still using components that were largely designed for human power, not power levels or specifically torque introduced at the crankshaft. 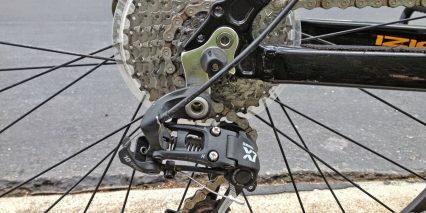 Until the rest of the components are designed for that amount of power AT the crank, a mid-drive generally is a compromised bike by design. And it would be very costly to re-design and get away from the standard components in the drive train and elsewhere, that are used very widely in the bike industry. Just know what you are getting into, when you are buying these mid-drives. 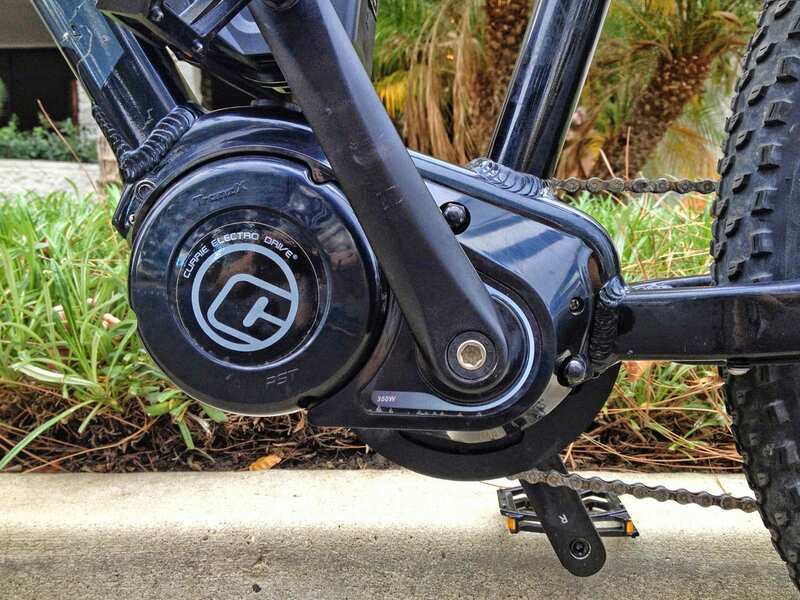 Hi Mike, thanks for taking the time to share a deeper perspective on mid-drive motors. 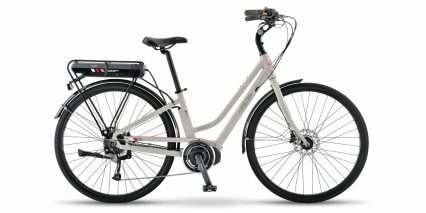 It’s worth noting that most of the Bosch Performance Line mid-motors are rated from 250 or 350 watts up to 500 or 570 watts. 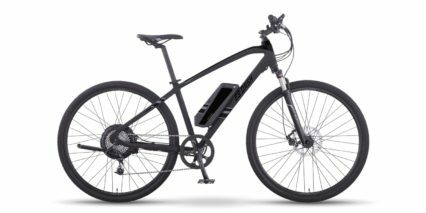 The Performance Line Speed has gotten me up to 27 mph but requires more pedal input at that speed than some of the Stromer and older Specialized Turbo hub motors. 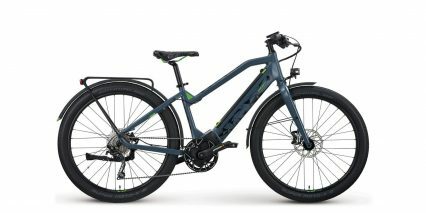 I appreciate what’s possible with a good mid-drive, such as reducing unsprung weight and making the drivetrain and wheels easier to service with quick release. I do agree that there are some political forces at work with the Classes, trying to leverage what is stable in Europe and bring it over to the US while suppressing some competition (or maybe pursuing safety goals). 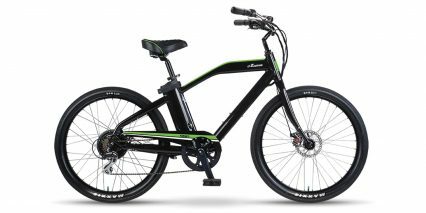 I look at something like the mid-drive FLX Blade that offers high speed and power, beyond any electric bike class, and I can see why some of the bigger companies would be concerned about liability… and why they avoid this type of product. 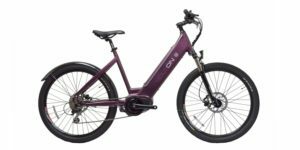 Most of them seem to be focusing on their own path, optimizing their motors and batteries, and offering a great experience for someone in the 170 lb range on roads and light trails. 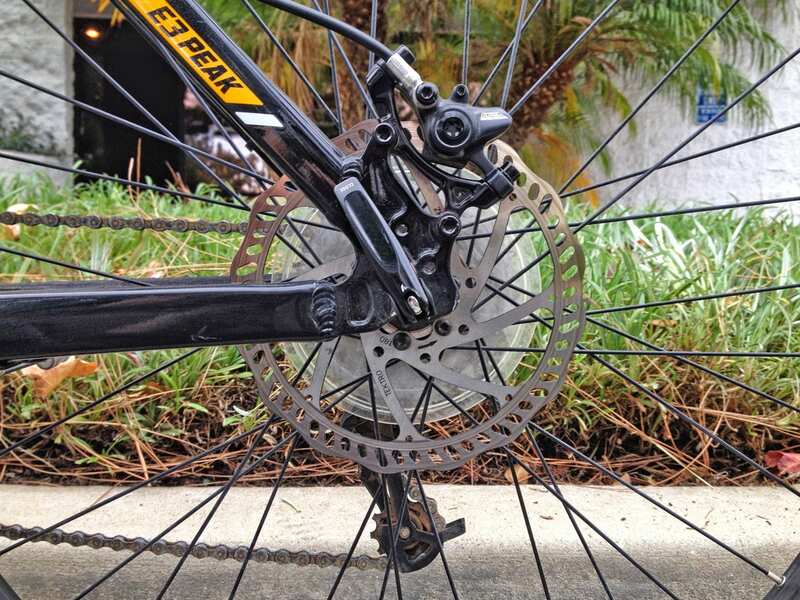 I’m excited that IZIP is moving towards higher quality drive systems with multi-sensors vs. just cadence because that (specific TranzX motors) were harder on chains, cassettes, and derailleurs. 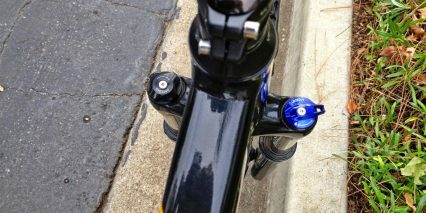 It’s great to have options and I do my best here, along with Brent, to cover a variety of choices including hub motors. Thanks again for your input!